Since Tom, our DM, joined us over Skype, he couldn't give us any of the maps he had drawn. 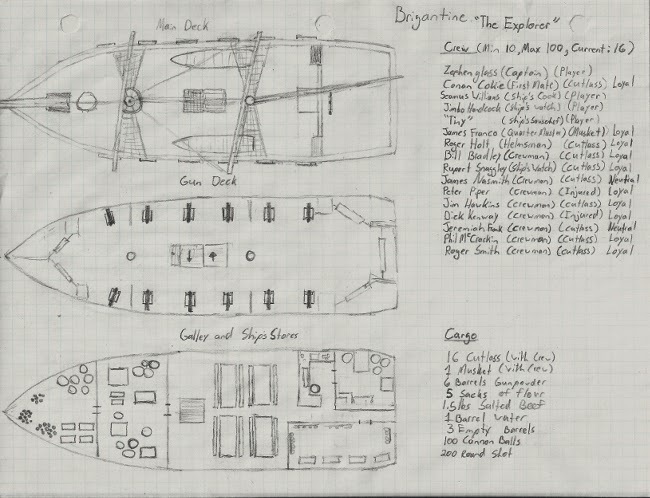 So while he was describing the ship, he asked one of us to draw a sketch of it. Now, I would like to claim this was my first attempt, but this is a nicer version I did up the following day.